Campbell Environmental Group (CEG) is a local, cost competitive, and responsive environmental consulting company that has a strong reputation with local regulators and the community. CEG's mission is to provide exceptional environmental services and solutions to our clients in every phase of their projects. Our experienced staff is committed to upholding stringent safety standards and delivering high quality products and services at affordable prices. The CEG Brownfields team has the experience and the resources to provide turnkey solutions that can transform abandoned, idle, or underused industrial sites into properties that are municipal and community assets. CEG staff are experienced in the design, construction, operation and maintenance of remediation systems for contaminated soil, groundwater, surface water, and air. 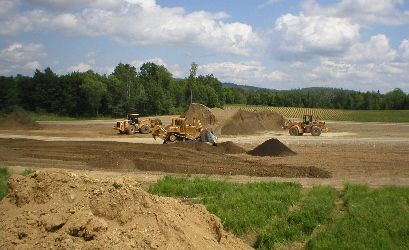 CEG has managed the only two known Maine sites that have been remediated to Maine stringent groundwater quality standards using in-situ methods. CEG has conducted numerous Phase I and Phase II Environmental Site Assessments, Remedial Investigations and Feasibility Studies, and Hydrogeologic Studies. CEG Staff have the experience to collect and interpret data and conduct historical research on sites in a thorough, timely, and cost effective manner. CEG prepares Spill Prevention , Stormwater Pollution Prevention Plans, US Army Corps of Engineering Permits, and National Pollution Discharge Elimination System Permits to meet state and federal waste compliance standards.